Chicago is the largest city in the Illinois state of the USA. It occupies the third place among all the U.S. cities by its population. Chicago homes around 2.7 million residents. Chicago metropolitan area, also referred as “Chicagoland” is the third largest on the territory of the USA with the population over 9.8 million people. Cook County is situated in Chicago. The city was incorporated in 1833, occupying the territory between the Great Lakes and the Mississippi River. At that time it was just a town, but now it has developed into a major hub for telecommunications, industry and infrastructure. The second busiest airport in the world in regards of traffic movements – O'Hare International Airport is situated here. 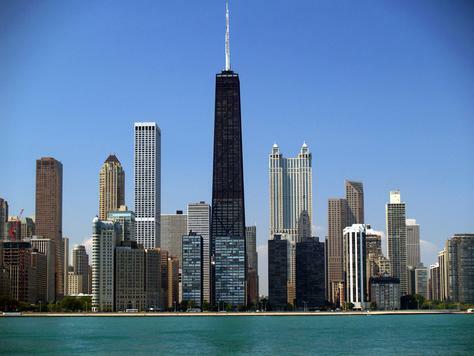 In 2008, over 45.6 million of visitors from the entire USA and overseas, visited Chicago city. The city is also a very important commercial center on the international scene. The notoriety of this city has found its reflection in various forms of popular culture including plays, novels, songs, movies, journals, news media, etc. Even today Chicago has many nicknames echoing the opinions and impressions about historical and modern city. The best known are: “Windy City”, “City of Big Shoulders”, “Chi-town” and “Second City”.